This is a wretched tale about revolting people. This is also an empathetic account of needful humans. 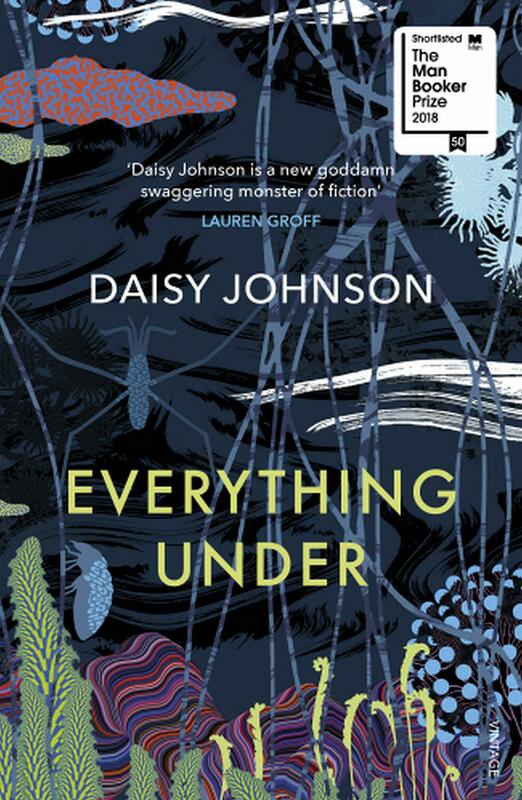 British Author Daisy Johnson’s debut novel Everything Under is both of these things and a hundred more myths, folklore, legends, psyches and defamiliarisations. At 29, Johnson is well-known as the youngest writer to make the shortlist for the Man Booker Prize, and no wonder. Everything Under begins as an ordinary, contemporary story. A daughter has been reunited with her difficult mother after a 15-year hunt. As they are learning to fit into their exasperating companionship, there is a lifetime worth of stories to be told. This is what the novel does, showing, not telling us about how the mother-daughter duo ended up in a civilised cottage, abandoning their nomadic life centred around a river. Daughter Gretel, named after the fairytale, drags us into her childhood. We live with the two of them, reveling in their self-sustaining riverside days. The “awful, wonderful, terrifying” mother is decidedly a little unhinged, the daughter unreal—she decorates wind chimes with dead animals. Away from the outer world, they “cut themselves off linguistically as well as physically,” fashioning words of their own. Harpiedoodle, they call a minor annoyance. Duvduv means something comforting and pleasant. There is a whole lexicon of their own, but the word that returns to haunt them again and again is the ‘Bonak’—something that harms the river people. The novel is obsessed with the bonak, and soon, so are we. Learning what it means, trying to find it lurking around corners, attacking it, killing it. With this Bonak comes everyone else attached to it. There is Marcus, a youth who spent some time on their boat and his parents, who deny that they have a son called Marcus. Their ‘alchemical’ neighbour Fiona is suffocated in equal parts by her clairvoyance and sexual identity. To find her mother, Gretel traces her steps back to each of them, and every single one hides secrets that fester and ooze like infected wounds. Gretel treats all of them with tenderness and understanding, a difficult feat for a child left to her own means for her entire childhood. Indeed, her inadequate and incomplete socialisation leaves her so scarred that at school she’s told, “You’re a wild child.” This wild child struggles to make sense of her previous life and the people in it. We find out alongside. The actual story takes a tad too long to begin, testing the patience of readers. Time oscillates between then and now, as you try to make sense of what is happening, and when. Waves of sadness, desolation, and guilt begin to flow from the book directly into you, into all your insecurities and trauma. There is a heavy, impermeable cloud looming large over the pages, welcoming thunderstorms and hailstones and mostly, a steady, stifling downpour of acid rain. But at the very point when it gets a tad tedious or even boring, the novel gives out these little shocks and revelations that make you go back a few pages to try to truly understand. It’s a neat trick. The timeline is the work of a maestro—it zigzags across people, places, and ages. Unless your mind is absolutely still, following each of these broken beings in their confused (and befuddling) journeys, no sense can be extracted from the novel. It forces you to give it your undivided attention and concentration, gratifying you with an ending that is totally unexpected, and yet the only climax there could be. It is a modern retelling of perhaps the most famous Greek myth, and yet, it’s very much an urgent story of now. Real people grapple with infertility and unfulfilled relationships, out their sexual identities and appetites, and try to soothe their demons and mental ailments. It is the reality of divided souls, tortured selves, a pilgrimage in search of peace and solace. It is a reflection of our world, the most unfathomable parts of it. It starts on a somber note and goes dark, dark, dark until you want to say no more, I can’t make out the shape of anything. ‘Everything under’, then, means every tiny detail that resides under the guise of the civility and placidity of this world. It is a culmination of all the aching and heaving around the earth. It moves excruciatingly slowly at times, almost as if the writer was under a stupor, and suddenly, incidents and feelings pop up to send little shivers of horror down the spine. Just like the river the characters float upon, the novel has a very soft, gentle, calming demeanour, and yet the undercurrents are so swift and shocking, the creatures in it so vicious and duplicitous, all riders are left disbalanced. This apposition defines a novel that could have been lost in a crowd of similarly brooding, gloomy pieces, but stands out due to its swirling, volatile, tornado of a centre. The characters in the novel are worth a mention. They are well-etched, rounded, and believable. There are almost no protagonists. For, all of them harbour shades of grey so deep, they shimmer downright black under certain lights. They showcase the worst in humanity, the depraved and detestable. Even as they try to hide it, they are exposed in their most flawed, bare and raw forms. They are a bunch of unfulfilled humans seeking to satiate their soul, and never succeeding. They are you and me and every one of us. Johnson’s style is not unique, but she does dazzling things with revelations and disclosures that add a unique, serrated quality. After all the upheavals, Gretel muses, “There are more good days than bad. I do not yet, ask for more.” This simple sentence that celebrates the mundaneness of life despite its daily debauchery is the crux of Johnson’s novel.